For three decades Sydney-based artist, writer and academic Anne Ferran has investigated photography’s ability to reflect on the past and trace the residual presence of the overlooked and near forgotten. She played a formative role in the generation of Australian photographic artists who came to prominence in the 1980s and questioned the role of the medium as an analytical apparatus capable of articulating ideas beyond a relationship to ‘reality’. These photographers, Ferran among them, openly engaged with theory and politics and had a specific commitment to feminism. As she exhumes historical narratives that have been neglected in order to afford them a visual status, Ferran pays particular attention to the condition of women and children, especially those who were insulated from broader society and institutionalised, whether in prisons, asylums or otherwise. Ferran is sensitive to surface and texture as a conduit for meaning within the photographic plane. While she often subtly dramatises the texture of her photographs, whether she prints on paper or aluminium, Ferran also enlists fabric as both subject and metaphoric agent. Conscious of the historical relationship between fabric and the domestic feminine space, Ferran often uses fabric as symbolically charged proxy for absent female subjects. This tactic is deployed with emotive force in the photograms that Ferran began to produce in the 1990s. These unique photographs are direct 1:1 traces of garments from historical archives. Projecting a ghostly, delicate presence, the semitransparent traces of clothing belonging to the long dead emerge out of the blackness of the exposed photographic paper. The absence of the body is evocatively articulated in ‘Untitled (child’s sleeves)’ and ‘Untitled (cuffs)’ for both photograms resurrect garment fragments that once tightly encircled parts of the body. Ferran made these works and ‘Untitled (christening gown)’, all of which are from the series ‘Flock’ 2001, in Dunedin when she was in residence at Otago Polytechnic and had access to clothing from the Toitū Otago Settlers Museum. 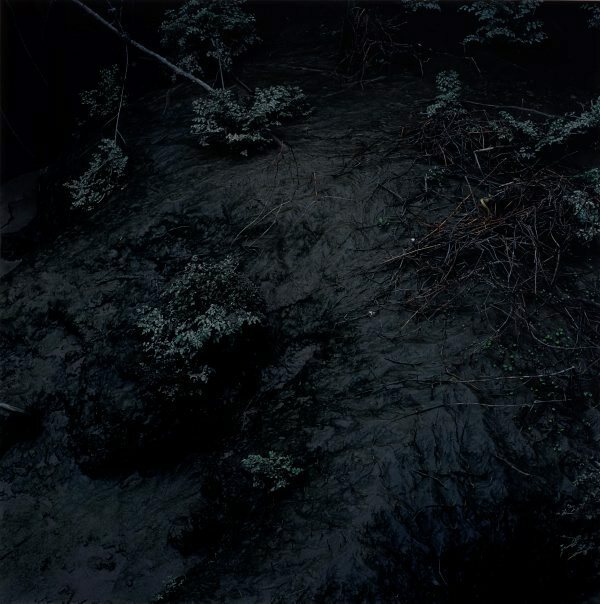 The 2006 series ‘Backwater’ was also produced during a residency when Ferran was working in London’s East End before the area was dramatically transformed in anticipation of the 2012 Olympics. Isolating small tracts of moist earth that resembles an urban marshland, Ferran eliminates the horizon and disorients the viewer. These are scenes that appear otherworldly despite the intrusion of a ladder in one frame. In what reads as a drained waterway, Ferran documents the stillness that supersedes the ebb and flow of the tide but also the suspended existence of endangered organic life. Ferran’s interest in abandoned sites is an extension of the series ‘Lost to worlds’ that she produced at two female convict sites in Tasmania whose histories have been buried and erased. This concern with veiled histories also informed the series ‘1-38’ from 2003 in which Ferran worked with archival photographs taken in 1948 of female inmates at the Gladesville mental hospital. In the later series ‘Box of birds’ 2013 Ferran re-animated this archival material, recruiting performers to interact with blankets made of coloured felt that mimicked the tones and forms of the clothes worn by the inmates. Draped in the felt, their bodies echo the tense yet subtle contortions of the inmate’s hands in the original photographs. Here, however, the women are not prisoners. Transformed into imaginary birds, they are afforded both flight and freedom.